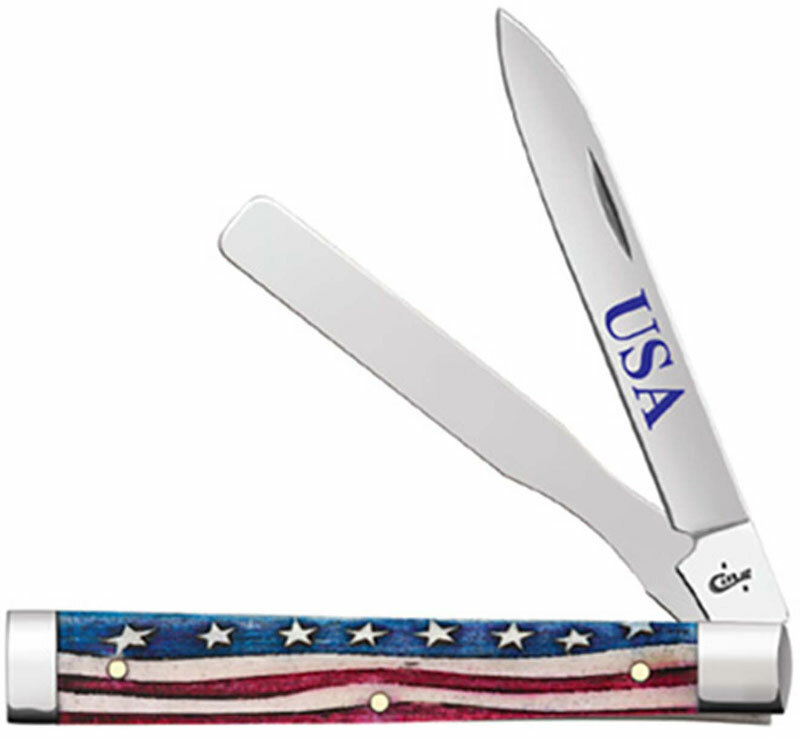 The Case Star Spangled Smooth Natural Bone (6285SPSS) Doctor's Knife features a spear blade and a spatula made of Tru-Sharp surgical stainless steel with nail nicks for opening. The Smooth Natural Bone handle, 3 3/4 inches closed, has Star Spangled Patriotic mark side detailing and nickel silver bolsters. The Case Doctor's Knife weighs 2.3 ounces. Made in the USA.